Our effort has taken place in the Hellenic mainland, on the mountain of Grammos and more specifically in the village of Kotili, in the Prefecture of Kastoria. 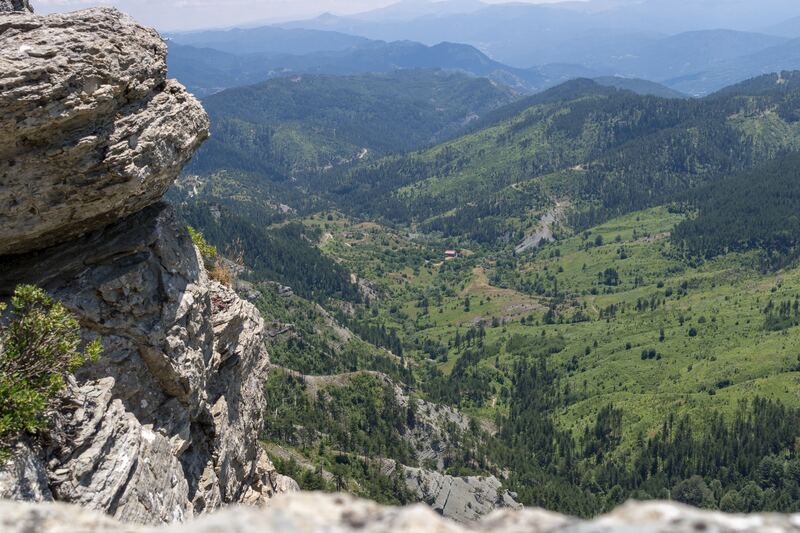 The village is situated in an altitude of 1.450 metres above sea level, where we cultivate mountain tea (Sideritis) with great respect to nature. The land in which we cultivate our tea is surrounded by forests with a variety of trees such as spruce, pine trees, beech trees, cedar and by a number of natural springs, in an altitude varying from 1.300 to 1.520 metres above sea level. 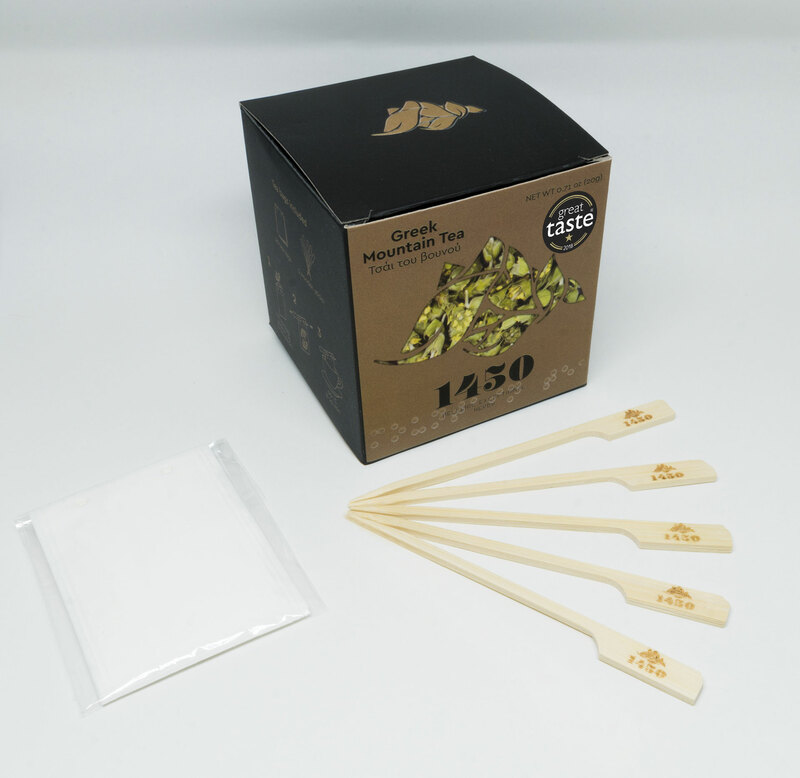 The reason why the “1450 Hellenic Exceptional Herbs” company was created in the first place, was the attempt to redefine the origins of mountain tea and to cultivate it where it originally comes from, “the mountain”. That explains why our company was named after the region’s altitude. Keeping in mind our childhood memories on the mountain, under the hot summer sun trying to find those valuable herbs and taking into account the wise words of our grandparents for the importance and the features of these self-sustained wild herbs, we are trying to bring back the purity and the amazing aromas of the Hellenic land and enclose them in the products we offer. Our goal is exceptional quality, by cultivating in the same place and altitude where the conditions and the microclimate of the region are optimal for plant growth. This results in maintaining their valuable natural sensory features. Our vision is to showcase more self-sustained, exceptional, wild, aromatic herbs of the Hellenic land, besides mountain tea, either through our very own farming, or in cooperation with other small farms which use strictly traditional cultivation methods, following the exact procedure according to which the plants are reproduced and grow in their natural environment. 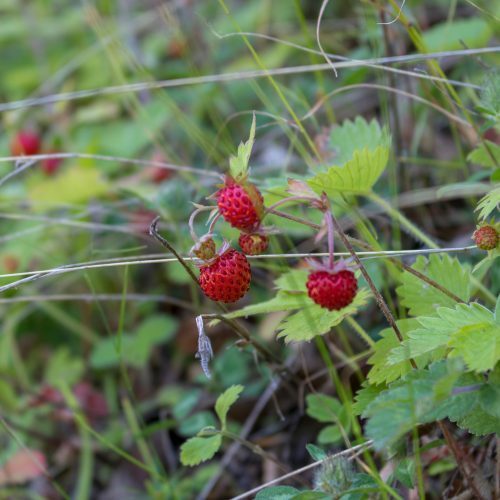 It is short and hairy grass, also known as strawberry plant, with a crawling root and compound leaves, which consist of three crenate leaves.They have white unisexual or bisexual flowers placed in groups on the top of long peduncles. Every flower consists of a pentadentate calyx, five petals, 20-35 stamen and numerous pistils. 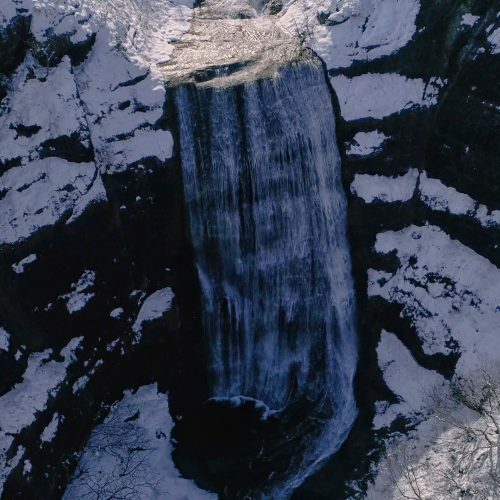 The land in which mountain tea is cultivated is surrounded by thick forests of spruce, pine trees, beech trees, cedar and also natural water springs, in an altitude of 1.520 metres above sea level. The Hypericum Perforatum, or more commonly known as balsam, is a flowering plant of the Hypericum genus, which belongs to the Hypericaceae family. 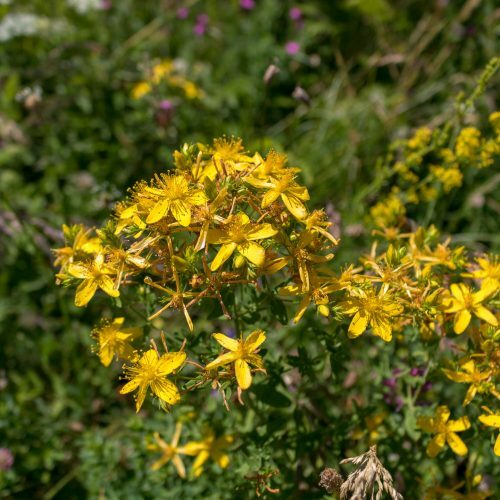 In ancient Greece, it was known as “Hypericum”, while in modern Greece it is also known as Tipton’s weed or sedge. In the English bibliography it is referred to as Perforate St John’s-wort. The philosophy of “1450 Hellenic Exceptional Herbs” brand is to initially produce self-sustained, wild, indigenous, aromatic herbs of the Hellenic land, by respecting the local varieties and their special features, in farms where the conditions and the microclimate of the area allow those aromatic plants to grow and offer the maximum primary quality of their valuable sensory natural features abd aromas, through strict manual labour. High altitude cultivation ensures the protection of the plants’ population from man-made pollution, because of the great distance from urban areas. The temperature alternation between day and night, the natural watering from the morning dew and the strong northern winds, meet all the geoclimatic criteria in order to form the ideal microclimate to maintain the valuable incredients of aromatic plants. At the same time, cultivating fields which have been “hibernating” for almost half a century, creates the prospect of important chances of employment, which can be a source of income and result in keeping the population of mountainous villages intact. The importance of aromatic plants does not stop there though, since most of them are the main source of food for the bee population, contributing a lot to our ecosystem, as it is well known that bees are responsible for the fertilisation and reproduction of the flora, resulting in their participation in a balanced, natural ecosystem development.